Fast and easy assembly and disassembly by one person! 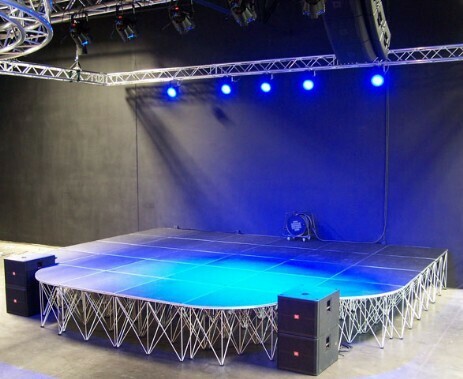 Smart, modular design allows you to use the same stage for all your needs and change the size, height and shape as you need. 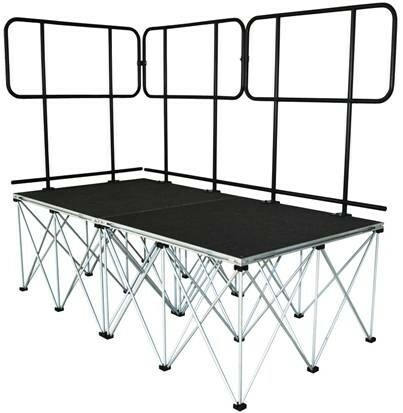 Multiple accessories available such as skirts, chair stops, mobile stage conversion kits, guardrails, equipment and wheel chair ramps, catwalks and adjustable height backdrops. We supply handrails for the stage and steps. We can supply safe. 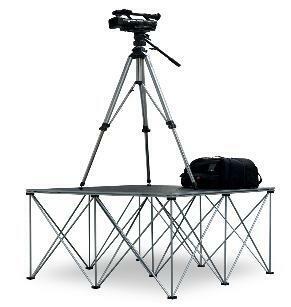 stable and can be configured height and camara person.